Most companies realize the distinct relationship between an employee’s health and their work performance. More and more businesses are viewing employee wellness as an important investment and rely on biometric screenings to evaluate and anticipate an employee’s risk for certain medical conditions. Typically, a biometric screening should take around 20 minutes. How should I prepare for biometric screening? Most providers ask that you fast for 9-12 hours before your screening. Water, black coffee and plain tea are fine to drink, but in most cases, food should be avoided to get the most accurate results. How often do I need biometric screening? In most cases, a biometric screening will be required every year as part of the annual enrollment for your company’s wellness program. What are the benefits of biometric screening? The biggest benefit is being able to track your health and detect potential health problems early. Will my employer have access to my results? No. The purpose of the Biometric screening is for you to have the information and resources you need to stay healthy. Any information obtained during the biometric screening is kept confidential. FastMed is available 7 days a week with no appointment. Our mission is to provide the best healthcare to our patients, at the best price, in under an hour. 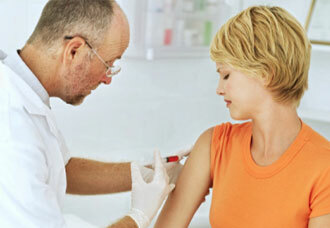 We offer biometric screenings, flu shots, DOT physicals, vaccines and more. Call or stop by today!